GMan Industries Ltd.- Creative Motorcycle Parts Manufacturer, Distributor, Retailer specializing in Performance, Longevity, Reliability and Quality for the Motorcycle industry. 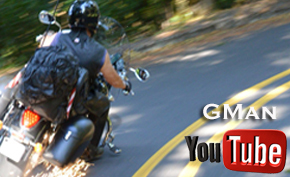 We offer proven biker solutions with our own branded GMan Products; GMI, Bully Controller, CarbWorks, Performance Exhaust, GBat, GTank, GBushing, GPop, Stealth Intake, Dragger, Ride Patch. Also GMan Custom K&N Air Filters, Odyssey and Shorai Batteries, Dobeck Performance EFI while featuring Franks Leather Products exclusively. 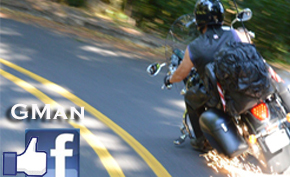 Our mission, to improve your riding experience which is why we are, "Built By Bikers, For Bikers! ".